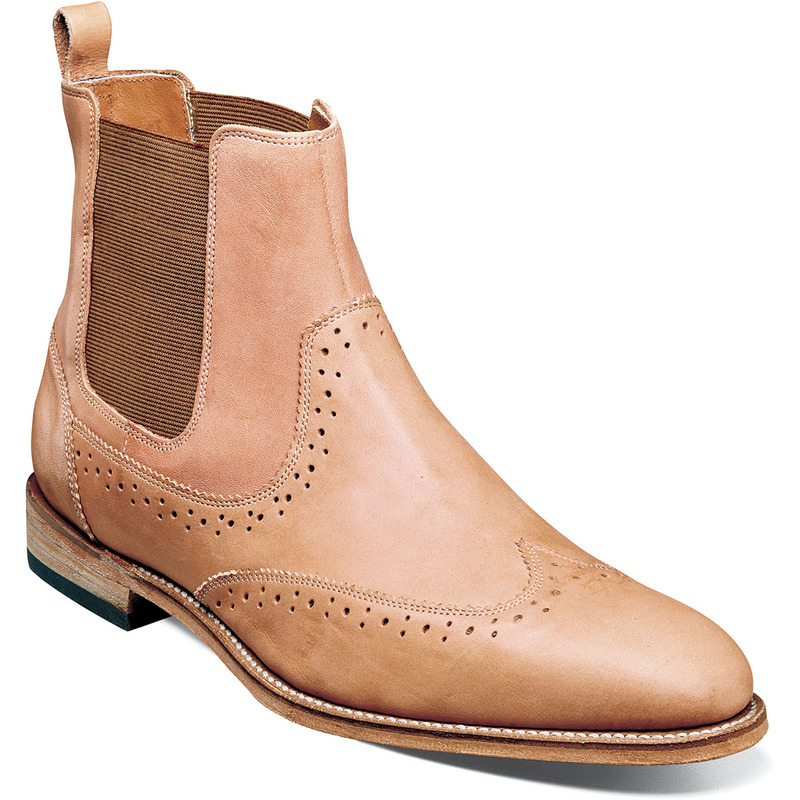 Dare to be bold with the Stacy Adams M2 Wingtip Chelsea Boot. Constructed with beautiful leather from one of the United States oldest leather tanneries, Horween Leather Company, you’re sure to turn heads in this stately boot. Horween Veg Tan leather upper. The linings are leather with a fully cushioned insole for added comfort.